The coast of Maine provides ample inspiration. 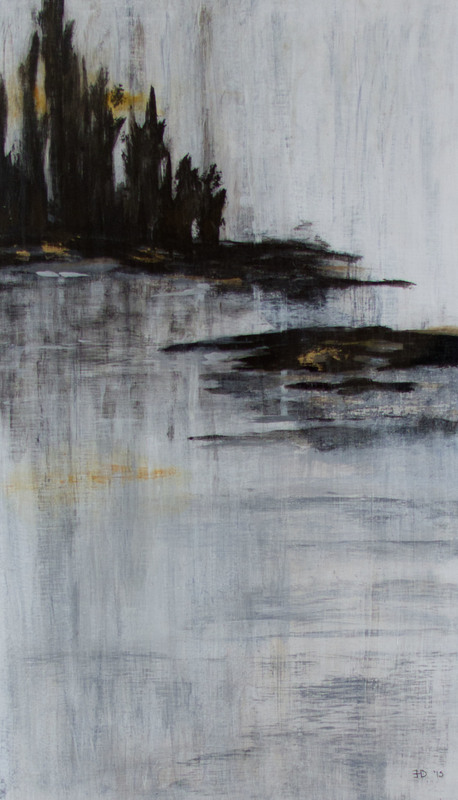 In this series, I depict the interaction of light and shadow of the land, water and sky. In most of these paintings I have primarily painted in shades of white, gray and black with highlights of metal leaf to capture the essence of place and time.